What do Derrick Rose of the Chicago Bulls, Ricky Rubio of the Minnesota Timberwolves, UFC Mixed Martial Arts superstar Georges St. Pierre and my husband Mickey Villa (my Michael Jordan) have in common? The answer: They have all incurred an ACL (Anterior Cruciate Ligament) injuries. An anterior cruciate ligament (ACL) injury is usually caused by a sudden twisting motion in the knee when an athlete lands or steps. You could opt to not have it repaired, but if you still want to engage in sports, or want to have a full life without constantly worrying that you might accidentally twist your knee, you might want to consider undergoing knee reconstruction surgery. 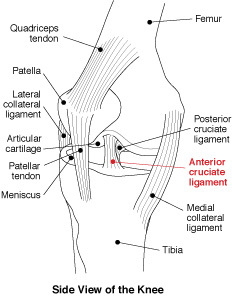 The ACL is the smallest of the four main ligaments of the knee and is the primary stabilizer. The others are the posterior cruciate ligament and the lateral and medial collateral ligaments. The ACL prevents the tibia/fibula from gliding forward, and the femur backwards. In the past, having an ACL tear was seen as a death sentence to an athlete’s career, but with modern technology and physical therapy, 85 % of athletes have come back as good or even better. Last month, after playing basketball, Mickey told me that he twisted his knee and that the pain was excruciating for the first 5 minutes, after that the inflammation started. I looked at his knee and knew that this was no ordinary injury. 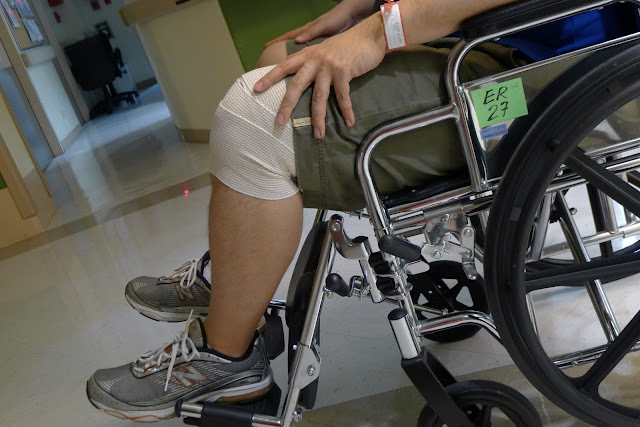 We went to the Makati Medical Center's emergency room where they took an x-ray of his knee to check if he had a fracture. Thank God, he had none. The doctor however asked us to go see an orthopedic surgeon to pinpoint his injury. We went to see Dr. Benigno Agbayani, Jr. of Advanced Orthopedics for Joint Replacement at Cardinal Santos Hospital (and also the best friend of Mickey's brother, Jojo). After doing some tests, he confirmed that Mickey had torn his ACL. A knee reconstruction surgery is needed to repair the ACL tear. Mickey had a full ACL tear and a minor meniscus tear, which Dr. Agbayani also repaired to prevent further damage. He had a successful knee reconstruction surgery. He was on crutches and wore a knee brace after the surgery. A week after his surgery, Mickey had to see a rehab doctor. 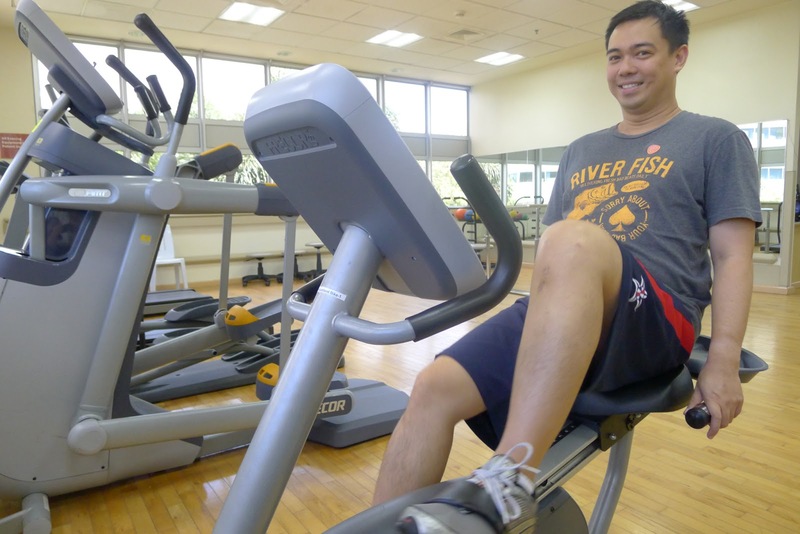 Luckily, Mickey's brother, Jojo is a good friend of Dr. Jose Bonifacio Rafanan, Jr., who is the Head of Physiotherapist at the Sports Clinic of the UP PGH. 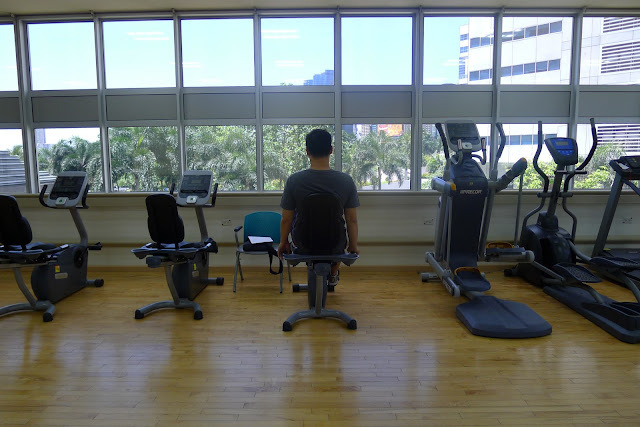 We went to see him at his clinic in Medical City, Ortigas for a consultation on Mickey's physical therapy and rehab. 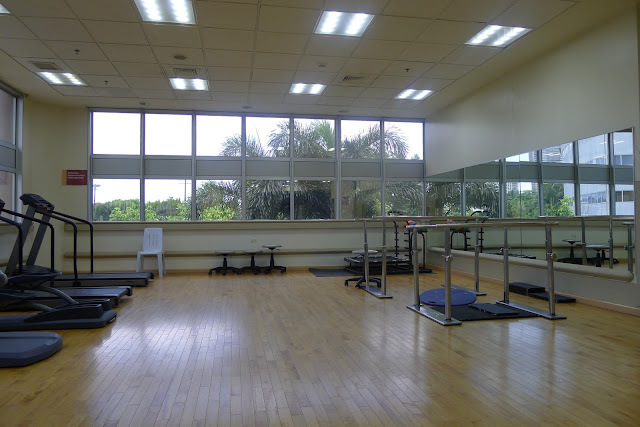 Today, we went to Mickey's first physical therapy session at Medical City. His therapy lasted for an hour and a half. Mickey's physical therapist asked me to accompany him at the rehabilitation center on the last 40 minutes of his rehab. I found him riding the stationary bike. His knees are getting stronger after the operation, especially with the help of physical therapy. His wounds have also healed and his scars are less visible. Mickey is getting stronger and has to undergo several more months of physical therapy. 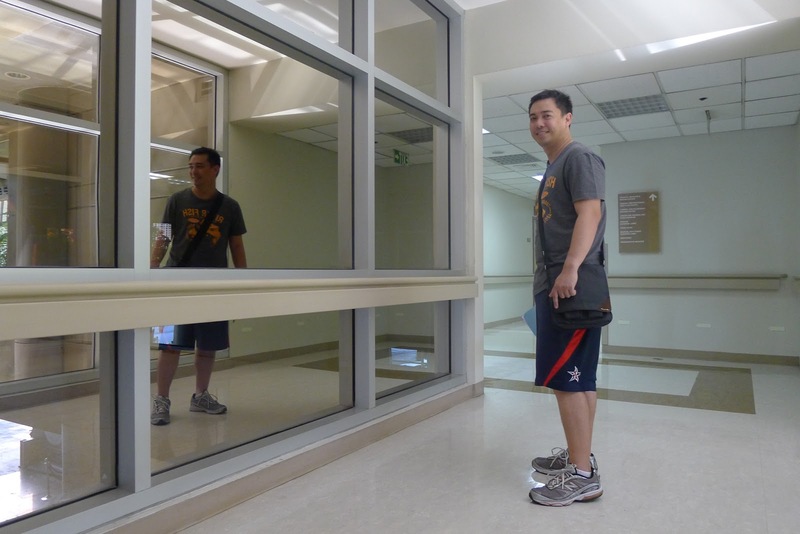 Today, he leaves the rehabilitation center without his crutches and his knee stabilizer. A very special thank you to Mickey's doctors, Dr. Benigno Agbayani, Jr. and Dr. Jose Bonifacio Rafanan, Jr, Mickey's brother, Jojo for introducing us to his wonderful friends and for always checking on Mickey's condition and lastly to our family and friends for their prayers and support. Hi Cielo! It really depends, maraming factors involved like the hospital you will choose, doctor's fees, bands and screws to be used, plus the extent of the injury. 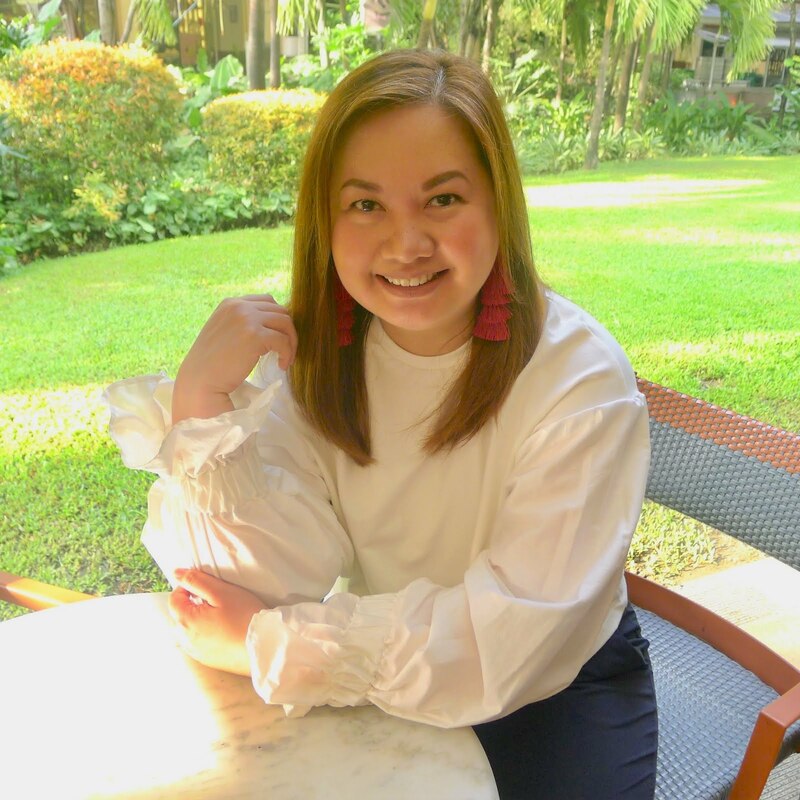 To be accurate sa diagnosis sa husband mo, I suggest you consult directly with Dr. Benigno Agbayani, Jr., he is one of the top Sports Medicine Doctors in the country today. If you would like to get in touch with him, let me know so I can give you his contact details. Hope this helps. He was able to rest at home for 1 week after his laparascopic acl surgery. He was given a leg brace to make sure that his knee is stabilized. His doctor gave him antibiotics to prevent infection on the fresh wound, and instructed to clean the wound with Betadine with gauze on a daily basis. He went back to his doctor after a week to assess healing and took out his stitches. Buy yourself a pair of crutches before going to surgery. I suggest you see a rehab specialist doctor after a week. 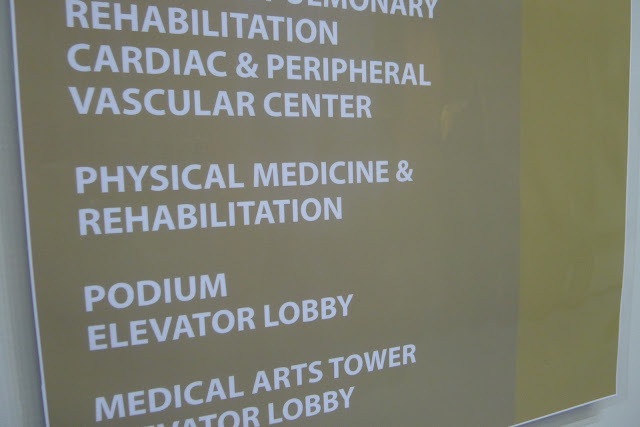 His rehab doctor is Bonifacio Rafanan Jr., an excellent doctor. I must say that he has an aggressive approach as he made my husband walk without crutches in just one week after surgery. My husband can drive after a week because we have an automatic transmission car, which just requires his right leg to move between the gas pedal and brake pedal (his surgery was on his left knee). If your car is a manual transmission (with clutch pedal) then I suggest you consult your doctor for assessment in your progress during rehab as it is bad for newly reconstructed acl to do some hyperextended movements, before you do driving. During rehab, the goal is for your knee to become strong and be able to achieve a full bend on your knees. It is a 12 session rehab at Medical City. Hope this helps and we pray for your speedy recovery. Hi po magkano inabot ng surgery nya? cover po ba ng hmo ito? My husband's HMO that time is Maxicare. With the help of Philhealth he didn't exceed P120,000.00. But take note that there are some things not covered by HMO like the titanium screws used on the reconstruction surgery. 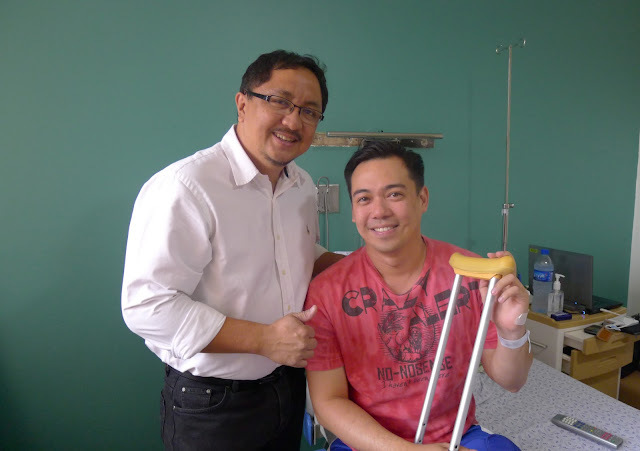 His surgery was done at Manila Doctors Hospital under Dr. Benigno Agbayani Jr. If you need to talk to his doctor I can hook you up with him so he can give you some professional advice. He is an excellent doctor. Just let me know. luckily to spot this blog.I have a complete ACl tear.Thank you for giving an idea that in a span of 1 week it could resumes to walk. I'm not sure if Dr. Rafanan still holds a clinic at PGH. But he does have a clinic at The Medical City (Ortigas Ave. extension). Hi ma'am. May friend po ako na athlete and he's staying in Kuala Lumpur right now, he's about to undergo ACL operation. It would cost Php300,000 kund doon sya magpaopera. I want to help him so bad, is there a way to contact the doctor you recommended.? kahit email ad po.? Thank you so much ma'am. You can contact Dr. Iggy Agbayani thru his e-mail address at iggyagbayani@yahoo.com. Hope this helps. Hi Tina, Do you an idea how mush are the titanium screws? I know how you feel about your ACL, but the good news is that, with the proper operation and rehab, you can bounce back to playing basketball again in just 6 months. My husband also used HMO for his operation, don't worry about consultation tests that were done to diagnose your injury. It's really a protocol, no doctor will perform an operation without making sure what your injury is. He spent P120K on his operation, but that was in 2013. Prices can be affected by a lot of factors - doctor's fee's and hospital fees play a major role here. The not-so-good news is that titanium screws are not covered by HMO. If I remember it right, it costs P20k++. The other good news is that if you have Philhealth, a significant amount will be deducted to your total bill. Prices can be a case to case basis, it's best to ask your doctor about it. Be honest, tell him what your options are on how to lower the cost. You can check on my husband's doctor, tell him that you came across my blog. You can contact Dr. Iggy Agbayani thru his email at iggyagbayani@yahoo.com. Share with me about your experience. Hope this helps. My husband spent around P20k++ on his titanium screws when he was operated back in 2013. I just don't know if prices have gone up. If you plan to have your operation by using your HMO, they don't usually cover the cost of it. Just to be sure, better check with your HMO provider. You can check with my husband's doctor, tell him you came across my blog. You can contact Dr. Iggy Agbayani thru his email at iggyagbayani@yahoo.com. Hope this helps.